The Capital Grille blends food and wine deliciously! Impeccable service, warm décor and ambience, delicious dry aged steaks and ultra fresh seafood (flown in daily) makes for the best culinary experience that you can get! The Capital Grille delivers this precisely like a fine Swiss clock! The Capital Grille has one of the finest wine lists of any multi-store (40) national restaurant chain. Each restaurant boasts an impressive 5,000 plus bottle cellar. With this many wines, it is no surprise that they carry the annual Wine Spectator Award of Excellence! Our local Capital Grille is located in Downtown Denver in historic Larimer Square. It's an amazing location with a bustling bar crowd. A favorite place for business lunches as well celebratory dinners. 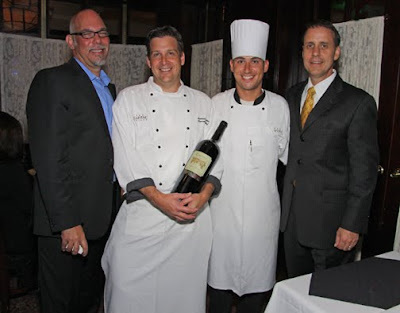 The Capital Grille's wine programs are always educational and value added!